Like grade inflation in college, the Pentagon has engaged in medal inflation, diluting awards for actual heroism by proliferating ribbons for bureaucratic skills, as Chuck Spinney and James Perry Stevenson explain. It should be clear that the Global War on Terror (GWOT) launched by George W. Bush and perpetuated by Barack Obama is a bust. It is now the longest war in U.S. history; it is now the second most expensive war in U.S. history; and there is no light at the end of the tunnel. Yet despite the GWOT’s astronomical cost, forces deployed and combat tempos are minuscule when compared with those of the far lower cost Vietnam War. Nevertheless, the top uniformed and civilian officials in the Pentagon are whining to Congress that these tepid tempos have created a looming readiness crisis. 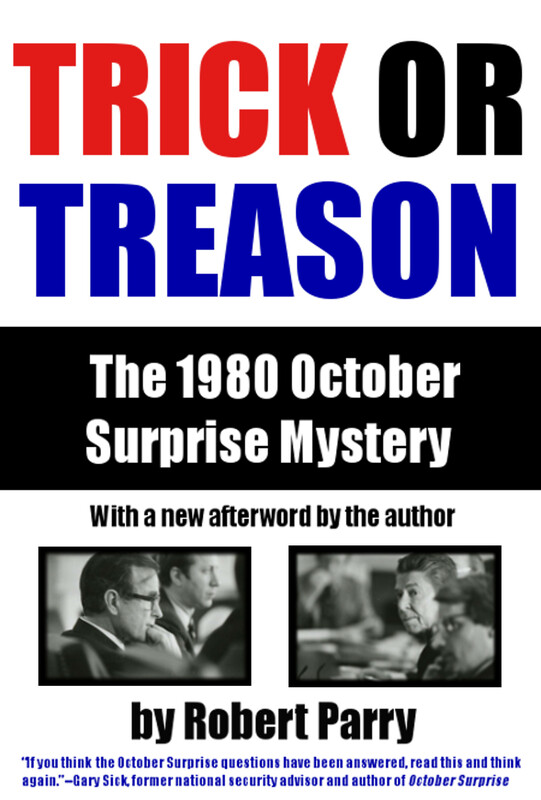 They assert the relatively small cutbacks in the future growth implied by the budget caps of Budget Control Act of 2011 to what is by far the largest defense budget in the world is now the “gravest strategic danger” facing the United States! 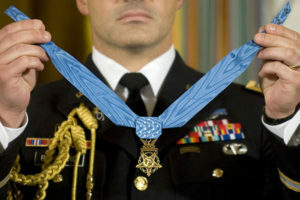 The Medal of Honor for extraordinary valor. A logical person, living in a sane world, would think that the GWOT, its high cost, its clearly broken nature, and the huge size of the defense budget would be major issues in the 2016 presidential election. But the presidential candidates and the mainstream media, like the Pentagon, are silent on this surreal travesty. Indeed, the pathologies of the Military-Industrial-Congressional Complex (MICC) are as much off limits in contemporary political discourse as is foul language is at holy communion. In part, that is due to the fact that lots of people and a substantial part of our nation’s economy are prospering — i.e., the are becoming rich and powerful — from living off the MICC’s degenerating status quo. One metric of this obscene transfer of wealth can be seen in the proliferation of MICC-related “McMansions” in and around Versailles on the Potomac. Sustaining the money flow through the MICC requires ornaments of success to compensate for and distract attention from its glittering if depressing reality. The proliferation of American flags in politicians lapels and on car bumpers, suggesting uncritical patriotism and triumphalism, is one example. Fantasies dressed up in Power-Point briefings about ever emerging technical revolutions, implying the future will be different from the past, are yet other examples of how ornaments prop up a dysfunctional reality in contemporary discourse. My long-time friend and partner in crime, James P. Stevenson, has just written an essay analyzing yet another, little examined set of visual aids propping up the surrealism of the MICC. His subject is the proliferation of glittering “been there, done that” decorations now adorning the chests our senior military officers. Jim proves his point (1) by making an elegantly simple comparison of the gongs adorning the chests of today’s generals to those that adorned the chests of the World War II generals — a war which historians may remember as our last “successful” war (thanks in large part to the enormous contributions of the Soviet Union) and (2) by showing how today’s gong show highlights individual careerism and vanity while degrading the recognition of heroism and self-sacrifice. There has been a jarring addition to U.S. military uniforms since the end of World War II. Seventy years ago, high-ranking officers wore relatively few ribbons or medals?—?and awards for valor were rare. Go back farther to the Civil War, and it was common for officers to not wear military decorations at all. Most of all, the typical Twenty-first Century American general is a walking wall of multi-colored “great job” ribbons, none of which are awards for valor. The ribbons have spread so widely that it has become difficult to differentiate heroes from bedecked bureaucrats, assignment-junkies and dedicated self-improvement types?—?which, I suppose, is partly the point. The bureaucrats who added the great-job ribbons have ensured that some of these ribbons rank higher than do most medals for actual, individual acts of heroism. That obviously reflects misplaced priorities within the U.S. military’s value-system. But that isn’t to say we should take away the officers’ ribbons. The American military acknowledges the commendable and selfless efforts of its soldiers, sailors, airmen, Marines and Coast Guardsmen in two distinct ways?—?promotions and medals. In cases where no promotion takes place, a new, more responsible assignment?—?such as becoming a commanding officer of a ship or aircraft squadron?—?is a clear indication of an officer’s continuous good work. Acts of valor, on the other hand, are usually brief events?—?sometimes instantaneous?—?but of course are still worthy of note. Awarding ribbons are the usual way the military offers this notice. A full chest of ribbons usually contains the four types?—?one each for valor, for a job well-done, for stating where and when the wearer served, and?—?finally?—?ribbons representing an individual’s professional self-improvement. 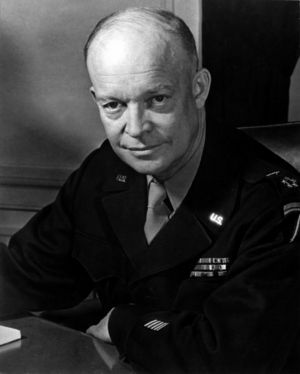 General Dwight D. Eisenhower, Supreme Allied Commander, at his headquarters in the European theather of operations. He wears the five-star cluster of the newly-created rank of General of the Army. Feb. 1, 1945. Without the V, the ribbon stands for “extraordinary” or “meritorious” conduct. And this varies between service branches. The same medal can mean different things depending on the service that issues it. Yes, this is complicated. Thanks for bearing with me. At the beginning of World War II, the big three awards for valor and heroism?—?the Medal of Honor, the Distinguished Service Cross and the Silver Star?—?were known to most military personnel and even to many civilians. The top seven ribbons the U.S. Army awarded at the beginning of World War II?—?five ribbons for heroism, one for a great job, and one for being wounded?—?are depicted here in priority order. The Medal of Honor, the Distinguished Service Cross, the Distinguished Service Medal (a great-job medal), the Silver Star Medal, the Distinguished Flying Cross, the Soldier’s Medal for non-combat heroism and the Purple Heart. The only addition for heroism in the U.S. Army by the end of 1945 was the Bronze Star Medal with the V Device. The medals the Army added for heroism after the 1950s are the Air Medal, the Joint Service Commendation Medal and the Army Commendation Medal, all of which offer the opportunity to attach the V Device, converting the ribbon from great-job award to an award for heroism. Hero medals now compete with great-job ribbons added since the end of World War II (in red) and great-job ribbons added before and during World War II (in green). In both cases, hero ribbons compete for precedence. In some cases, great-job ribbons outrank awards for heroism. Furthermore, the qualifications are such that only those at the top of the military hierarchy are in a position to receive them. That airman has been in the Air Force for just under four years and yet he had been awarded seven ribbons. For a comparison, Army generals Dwight D. Eisenhower and Henry “Hap” Arnold each received only 10 American ribbons during their entire military careers?—?culminating, of course, with World War II. Gen. David Petraeus and his chest full of medals and ribbons. 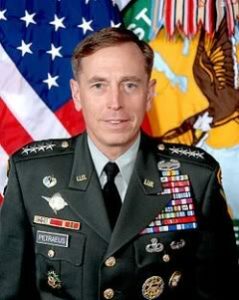 Seven of Petraeus’s 11 personal decorations were created after 1970, so if he wore only those medals available during World War II, he would have just four medals and only one for heroism?—?the Bronze Star Medal with V Device. 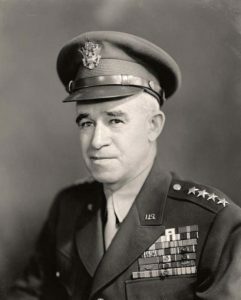 Bradley’s medals were all awarded by the end of World War II, including the Silver Star, the third-highest medal for heroism. The addition of been-there and done-that ribbons added to Petraeus’s personal decorations, resulting in a display not unlike that of a Latin American potentate. Petraeus’a look differs from Bradley’s more conservative appearance. Five years after Boyd received his first Legion of Merit as a 32-year old Air Force captain?—?a virtually unheard-of feat, as the Legion of Merit is often referred to as a “colonel’s medal”?—?he received another Legion of Merit because he “developed the energy-maneuverability concept,” which helps pilots and designers to compare one airplane against another in a quantitative way. In layman’s terms, his methods permitted pilots to see where an enemy airplane has advantages and disadvantages in the air. 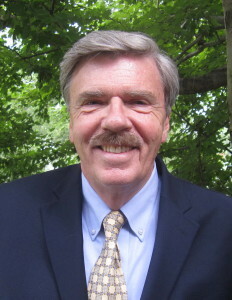 Boyd took his energy-maneuverability concepts to Southeast Asia during the Vietnam War and briefed pilots on how to use the concepts to avoid getting hit by surface-to-air missiles. Here then is a better way to make valorous awards stand out?—?and in such a way that even civilians will know they’re looking at a warrior who has risked his or her life to save others. Currently, the regulations call for unit citations?—?ribbons awarded to a group rather than to an individual?—?to be displayed on the right side of the uniform from the wearer’s perspective, the side opposite of where ribbons are normally worn. Although unit citations are important, deference should be given to the individual hero. It is often less-expensive enlisted personnel who find themselves in hazardous conditions and who are likely to encounter?—?to put it obliquely?—?the opportunity to demonstrate valor. Awarding a two-star general at the Pentagon the third-highest military ribbon for creativity with his pen and ranking such action greater than, say, a combat soldier saving someone during a firefight, is plain wrong. Why is The Medal Of Honor a Satanic Pentagram??? I don’t have any information on Bradley in my library, and can’t find out any details about his Silver Star. 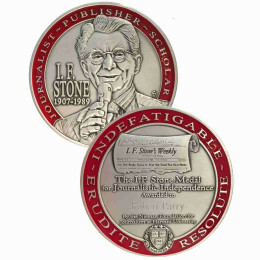 Does anybody know what heroics justified that medal? Douglas MacArthur deserved his Medal of Honor less than any soldier in the Philippines. It was purely a political move by Roosevelt. The US needed a hero, and Roosevelt manufactured one for them. By all rights MacArthur ought to have been fired instead of getting medals and further command. Fascination essay though. The first I heard of Medal Inflation was the 1983 invasion of Grenada. Supposedly more medals were given out than men taking part in the operation. I was already aware of this phenomenon, and I can see it as indicative of larger cultural and political decadence. But I still don’t give a damn about it. A few years ago I looked up Petraeus’ Wikipedia page and scrolled down to look at his medals. My conclusion was that they were about 95% “flair”, a la what Jennifer Anniston had to wear in “Office Space”. Well Napoleon with his famous ‘runt complex’ got it wrong. I can assure you that men like my bother who received 3 Purple hearts, 2 Bronze stars and One Silver star —for service IN COMBAT in Vietnam were not motivated by thoughts of medals and ribbons—they were motivated to stay alive and keep their men alive, Period. How much more ‘lowering of the bar’ can this country stand when Obamarama awards the US Medal of Freedom to Hollywood celebrities? Someone explain to me how Barbara Streisand for instance and others earned the Medal of Freedom. –exactly how did she advance ‘freedom’ in the US or world? Did she stand in front of a tank in China or Gaza?—-or did she give Obama enough money to earn it. ?……its the money. In 1969, my infantry company had a saying “officers get medals, grunts get body bags” not that we were cynical or anything like that! Hello Everyone, I first read this many decades ago in science fiction. To me is seemed plausible then and now has come home to roost! It will only become worse with each passing day until the weight of the WAR DEPARTMENT sinks what’s left of the crumbling country once known as the United States of America and now needs to be renamed ‘Murica!! !